Looking for a beautiful Christmas gift for the special lady in your life? 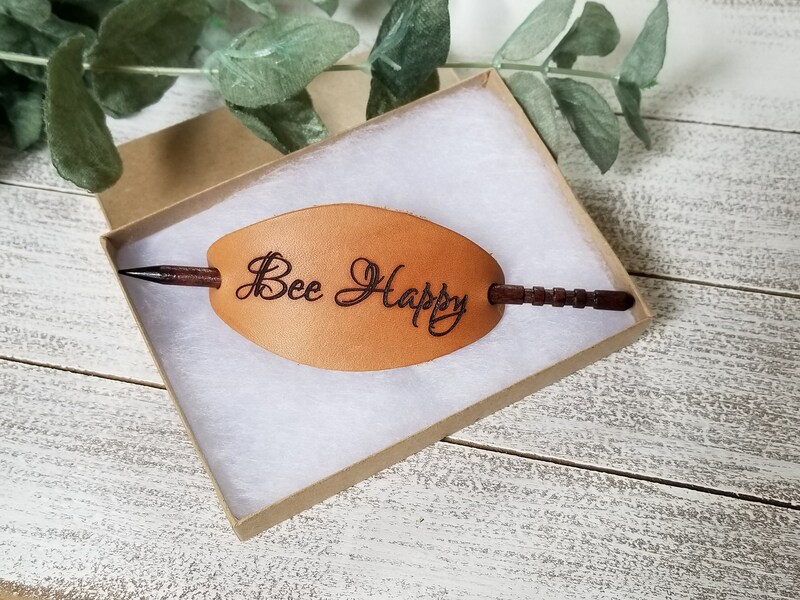 This Beautifully crafted and custom personalized leather bun holder will make a perfect gift for the special someone in your life. Surprise your wife, mother, daughter, sister, girlfriend or fiancee with this beautifully crafted and engraved leather bun holder. QTY: 1 leather bun holder and 1 wooden pick -- Gift boxed.